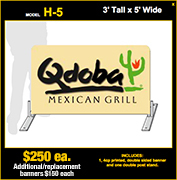 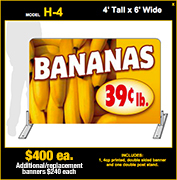 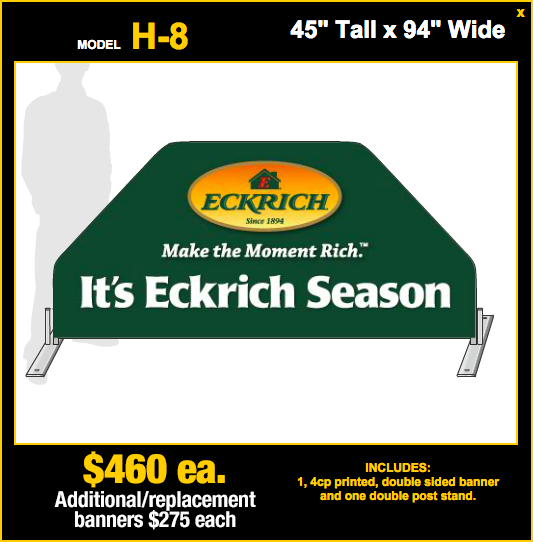 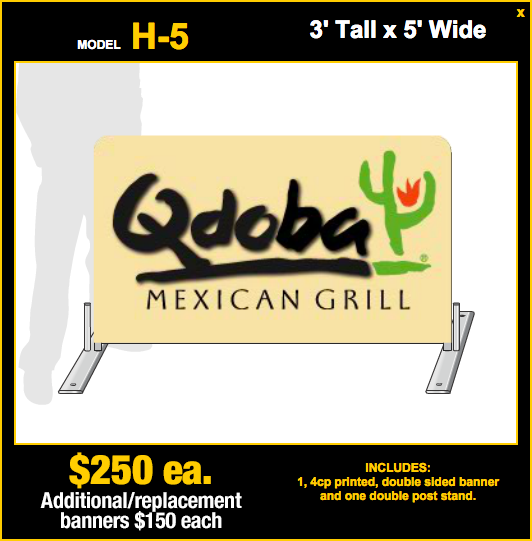 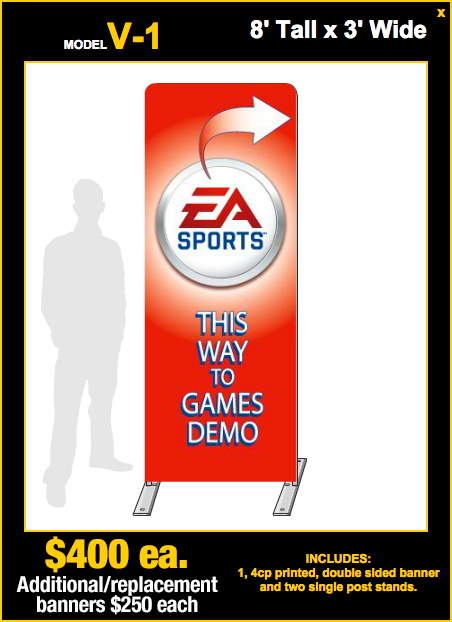 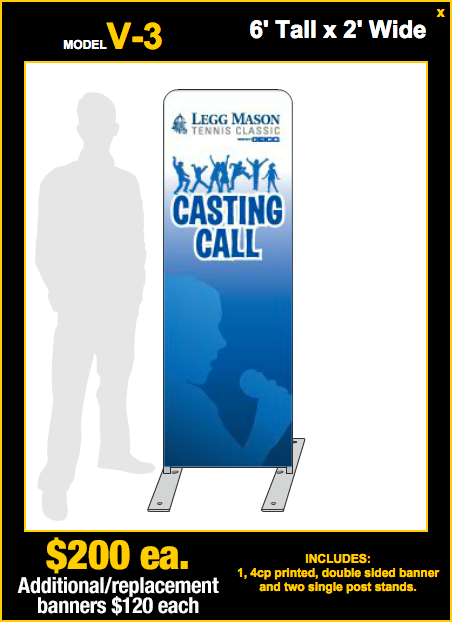 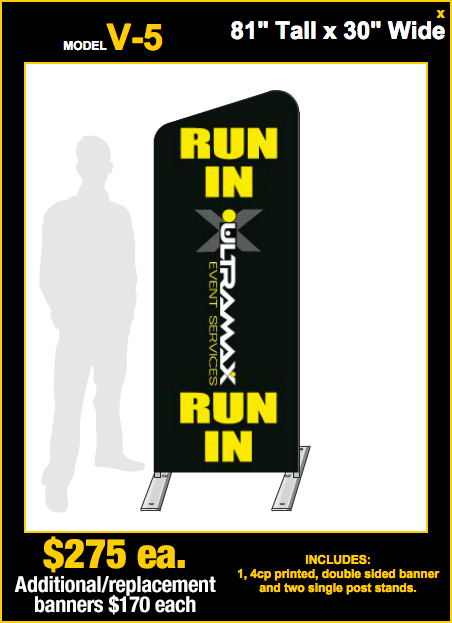 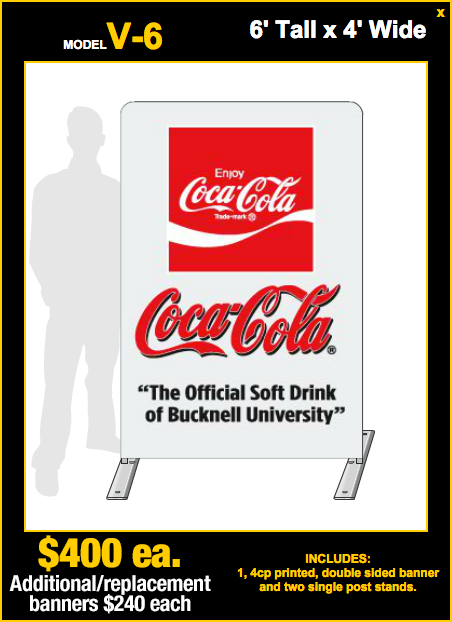 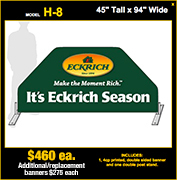 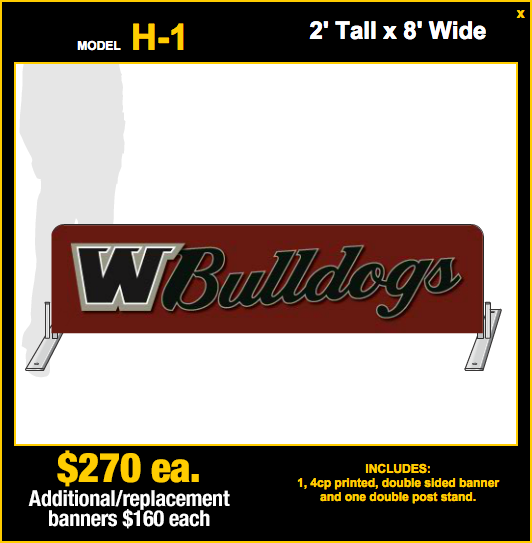 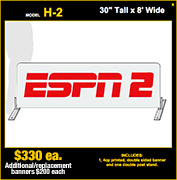 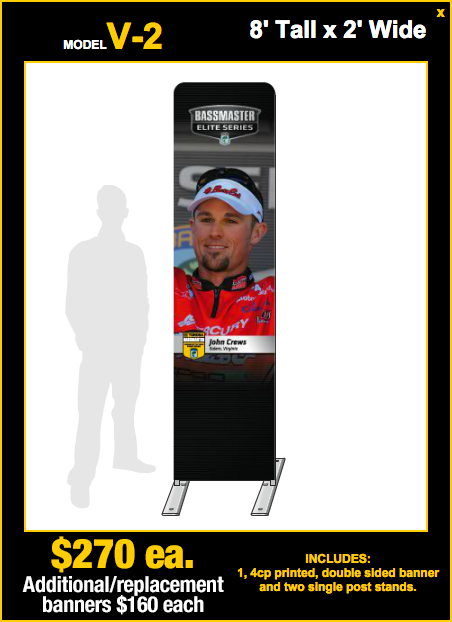 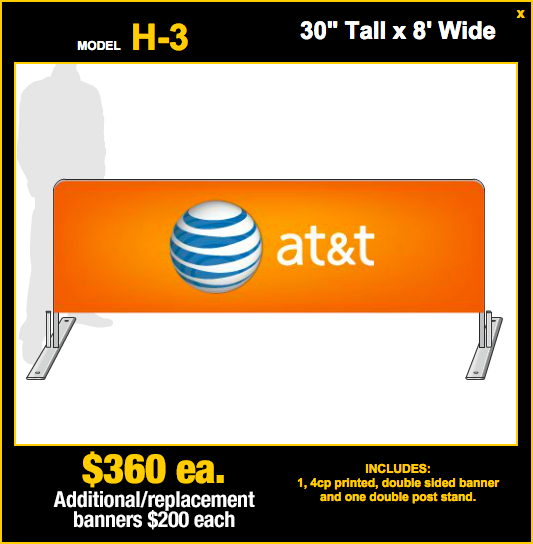 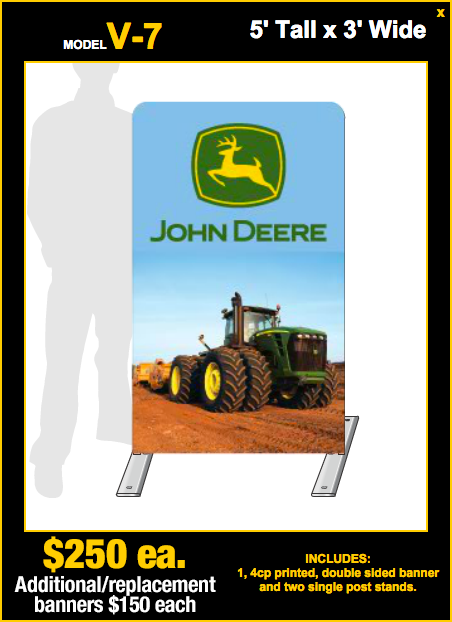 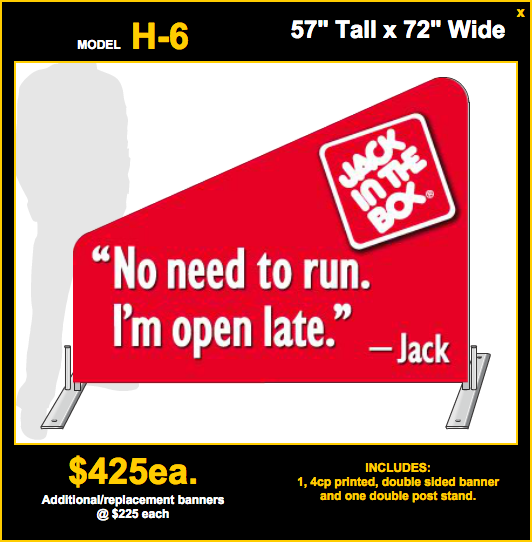 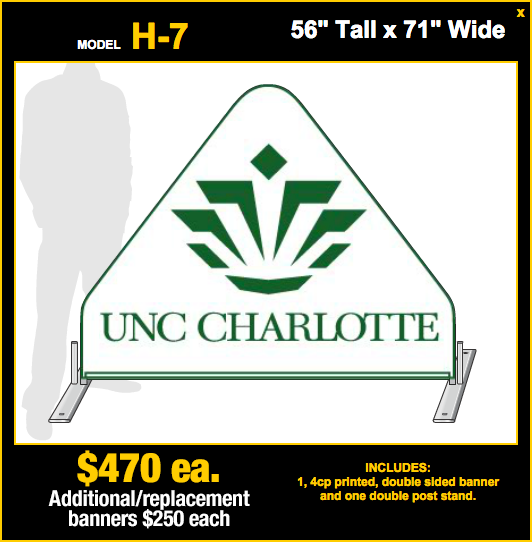 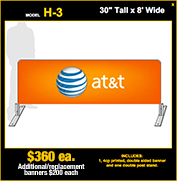 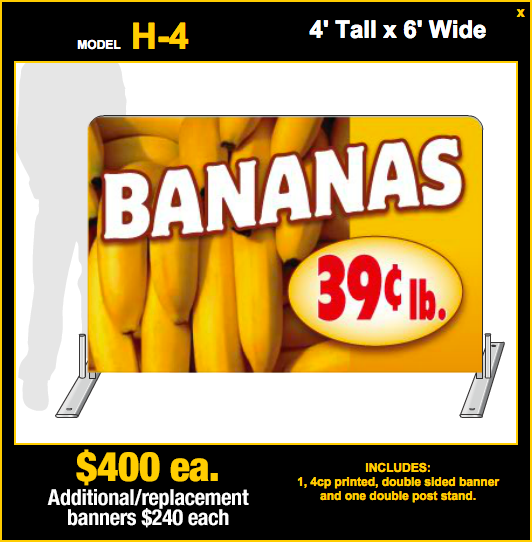 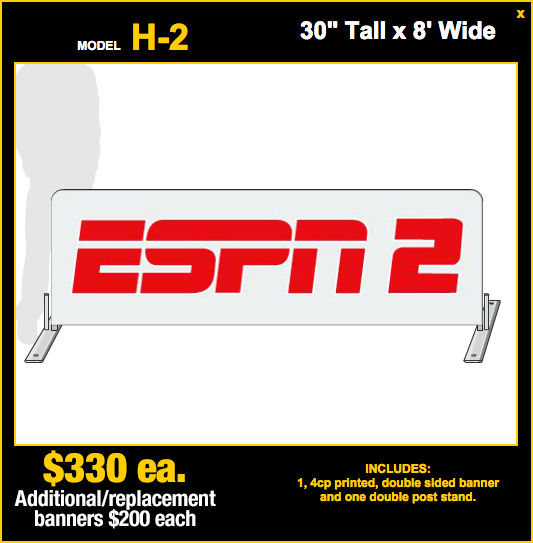 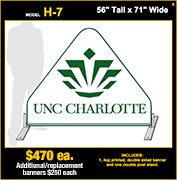 The AD-CADE portable sign system was developed as an economical stand alone or crowd control barricade that can easily and professionally display sponsor and event signage while remaining light weight and sturdy, making shipping, set-up and storage a breeze. 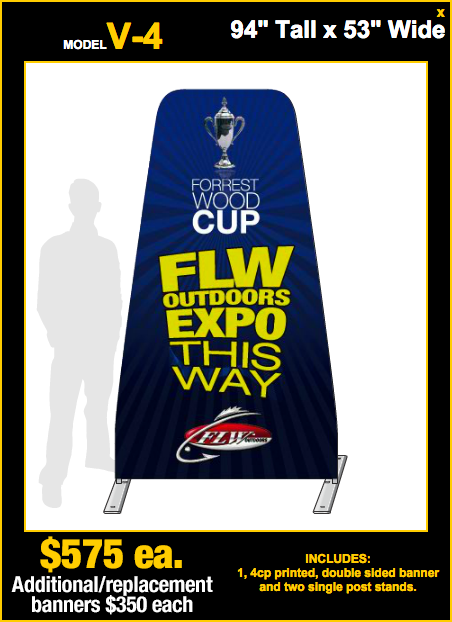 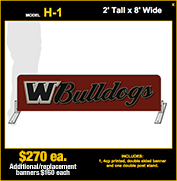 The aluminium frame is welded 1.25” square tubing, and is fitted with a 2 sided, durable, washable, changable fabric banner that fits each frame like a pillow case. 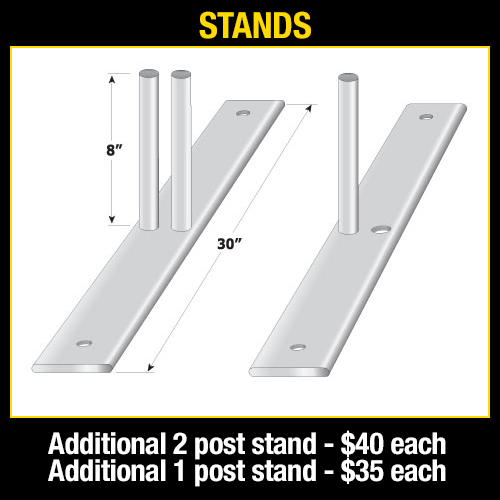 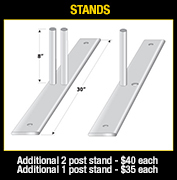 The universal, removable connector-stand allows for configurations that combine models to create attention grabbing visual landscapes with unlimited capabilities, all with no tools required.